This loaf cake recipe is one of the best I have come across. 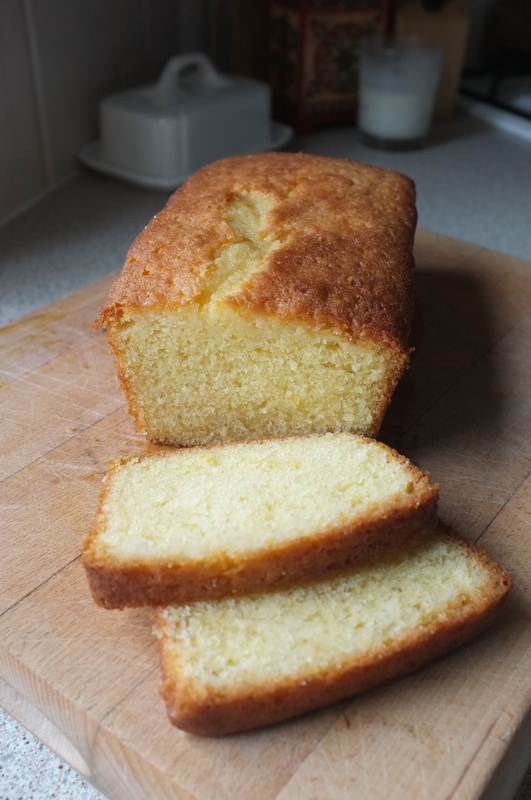 It’s so easy to throw together, strikes a wonderful balance between the density of a traditional pound cake and the softness of a light crumb, and it’s so versatile that you could add almost anything to the batter. This version bring together summer flavours of zingy lemon and sweet, floral elderflower for a bright and fragrant twist of a classic lemon drizzle. I think it pairs perfectly with a G&T, or why not try a tall glass of sparkling elderflower lemonade! Just pour a little elderflower cordial into your lemonade for a refreshing summer’s day drink. **I served my cake with a dollop of lemon & elderflower yoghurt, made simply by mixing a splash of elderflower cordial into some thick lemon yoghurt. Alternatively, for added decadence, you could whip some cream and fold in lemon juice and elderflower cordial! ***Try making this recipe in mini loaf cases for individual treats. Bake for 15-20 minutes (depending on size).